A serious injury can be extremely painful and even life-changing. And sometimes, the insurance company you depend on for protection will do whatever's possible to limit their payout, leaving you with unpaid bills, lost wages and worrying about how to provide for your loved ones and your future. It is important to realize if someone else's carelessness has left you seriously injured in Rock Hill, South Carolina or nearby, you are entitled to fair and just compensation. That said, it requires partnering with the strongest and most experienced legal team you can find. 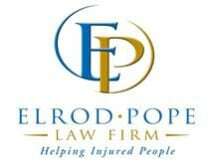 At Elrod Pope Law Firm, we are here to help. We are one of the most established law firms in the area. If you have been injured, we are prepared to put our decades of experience to work to obtain the compensation you deserve and need to fully heal, recover and elevate your quality of life. We are open, honest and accessible and use a team approach to handling your case. When you partner with us, even though you will have a primary attorney, you will get the combined knowledge and expertise of our full firm. We at Elrod Pope Law Firm can help you recover damages for not only medical bills and lost wages, but also for your future costs of treatment, the impact on your quality of life, and the time you had to be separated from your loved ones. In these overwhelming times, you need someone you can trust and fight to make things right for you. We offer free initial consultations and take all cases on contingency — we will never collect any fees until we obtain the compensation you deserve. We also are available for off-site and after-hours meetings by appointment. From careless drivers to unsafe areas to unforeseeable accidents, we all face dozens of risks every day. Through no fault of your own, you have been injured at work in the course of doing your job. Social Security Disability benefits were created to help hard-working people who have suffered a medical condition that prevents them from performing the work they once did. Each year, over 6.5 million Americans are involved in car crashes, and, no matter how carefully you drive, you may find yourself among them. Everyone makes mistakes, no matter how capable and trustworthy we may be.